I had been trying to sell my ECHO Pure for a while now. I had advertised on several online classifieds and received many enquiries. More often than not, I replied too late as I did not check my email (that I used for classifieds) regularly. 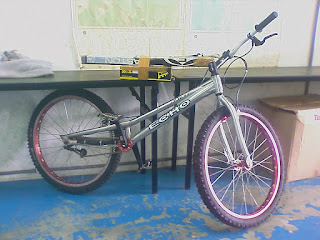 Earlier, I had upgraded the rear wheel brakes to the Magura HS33 and a really nice rear Panaracer tire. The bike felt really good and nice to ride. 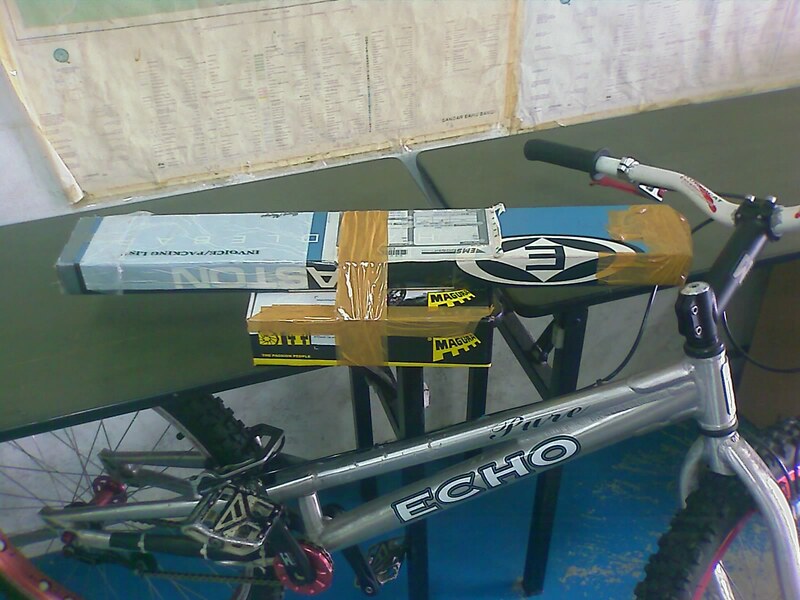 The Echo Pure ready to be shipped to its new owner via Kangaroo Courier. The original Echo handle bar and rear brakes set were also shipped with the bike. So why did I want to sell the 26"? The main reason, I sold the 26" was that I wanted to get a 20". Maybe it was psychological, but somehow I felt that with the 20", I could learn faster and ride better. One thing for sure was that I wanted a smaller and lighter bike. And so, now I am looking for a 20". I have not decided whether I would go for a Monty yet, but it seems the right choice, albeit the hefty price tag.